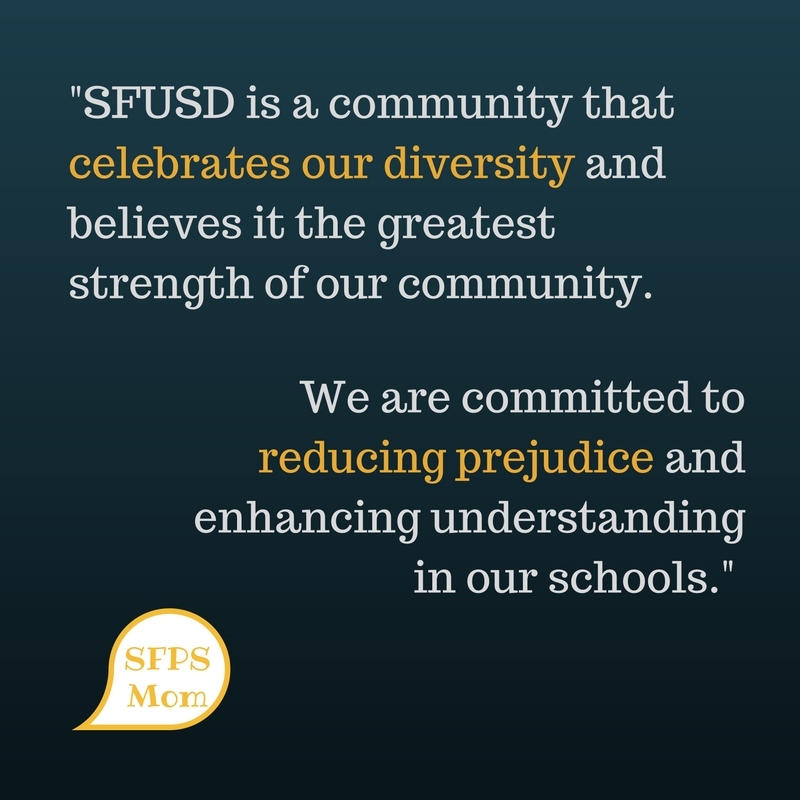 You may have missed it, but last year, as one of their final acts as of 2016, Commissioners Matt Haney and Shamann Walton proposed an important resolution calling on the superintendent to define clear protocols for schools in addressing hate and bias in our schools, and provide more support for site staff in creating safe and inclusive learning environments for all students. While this is a continuation of the district’s ongoing work since it outlined “access and equity” as one of the three main goals of its Strategic Plan, many years ago, it is also a response to the rise in hate speech and bias related incidents being witnessed in our schools across our nation as a result of Trump’s election. Thank you to all our Board members for unanimously approving this important resolution! Nonetheless, I am hopeful we can move farther “beyond the talk” (as the district proposed many years ago) to tangible, measurable actions, that will ensure all our kids and families feel they are valued and respected members of our school communities. Even though we have come a long way in this regard, since I first became an educator over 20 years ago, there is still much work to be done. It will “take a village” as the African saying goes to ensure this resolution is fully implemented so all children, and especially our most marginalized, attend schools that make them feel like valued and visible members of their learning communities. 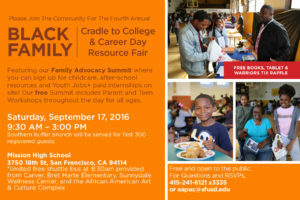 I look forward to working with SFUSD commissioners, the superintendent, community leaders, and site and district staff to support, monitor and advocate for this important work. Read it, share it, live it. As we stare down the barrel of an impending Trump presidency, it is easy to feel hopeless and overwhelmed. In the coming months, we many not be able to see immediate changes in Washington D.C. Nonetheless, individual parents, educators and community members CAN make meaningful change in our nation’s schools in 2017. It’s time to step up and be the change. Let’s make sure all our kids go to welcoming, inclusive schools free from hate, bias and bigotry. Resolution in Support of Inclusive Schools that Celebrate Diversity and Respect People of All Identities. THEREFORE BE IT RESOLVED: The Board of Education calls on the Superintendent to develop and/or strengthen clear protocols for how to report and respond to acts of intolerance and bias related incidents. Where appropriate these protocols should be integrated into our Safe and Supportive Schools Policy. FINALLY BE IT RESOLVED: The Board of Education urges school site leaders to take proactive steps such as holding school wide assemblies, partnering with student government and student leaders, implementing school wide curriculum and setting clear standards for behavior to ensure that we address intolerance and prejudice within our school communities. How will you support, monitor and advocate for safe, welcoming and inclusive schools for all our kids, and especially those from our most marginalized communities? A Long Road Ahead, But I’m Hopeful. 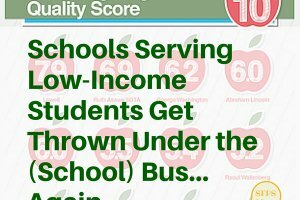 Reports like those on the a new GradeEdge website often make very good schools look "low-performing" simply because they serve low income students. This is not only unfair, it's irresponsible because it often leads anxious parents to have incorrect negative assumptions about some very good schools.